Japan may be known The Land of the Rising Sun, but it’s a country that has never really shone where investors are concerned. Years of deflation and economic stagnation saw the 1990s dubbed as “The Lost Decade” for the country. In reality, its troubled extended well into the 2000s. In fact, between 1995 and 2002, real GDP growth in Japan stood at just 1.2% on an annualised basis – lower than all of its G7 counterparts. During that time, the headline Topix index, in yen terms, almost halved. Morningstar data show the total return for the Topix in local currency since January 1989 was just 2.75%. In sterling terms it’s slightly better, at 58%, but still a shadow of the MSCI World’s 929%. 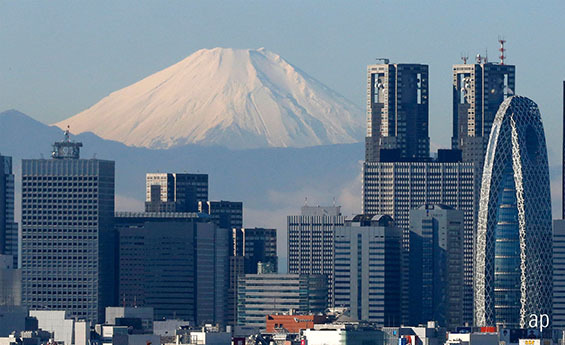 “But many investors who have been seduced into investing in Japan have been disappointed, after a short while, that nothing really changes and Japan remains a cheap market,” says Joe Bauernfreund, lead manager of AVI Japan Opportunity Trust (AJOT). According to Linda-Eling Lee, head of ESG research at MSCI, the feedback rate from Japanese companies has increased from around 14% to almost 70% over the poast three years. AJOT’s activist approach to investing in Japan has had some big early wins, including with the large-cap Tokyo Broadcasting Systems (9401). The firm is mainly a television company, similar to the likes of ITV. However, it also owns real estate that it lets out as well as an investment portfolio of around a dozen companies. A similar story has played out at another AJOT holding, Kanaden (8081), which distributes products manufactured by Mitsubishi Electric (6503). It’s announced a series of share buyback programmes and has started to unwind part of its cross-shareholdings. That’s boosted the share price.